Tile roofs have been used throughout history by many different civilizations. There’s a good reason for that! It’s handsome, ultra-durable, and does an unbeatable job of withstanding the extreme temperatures we’re all too familiar with in Austin. 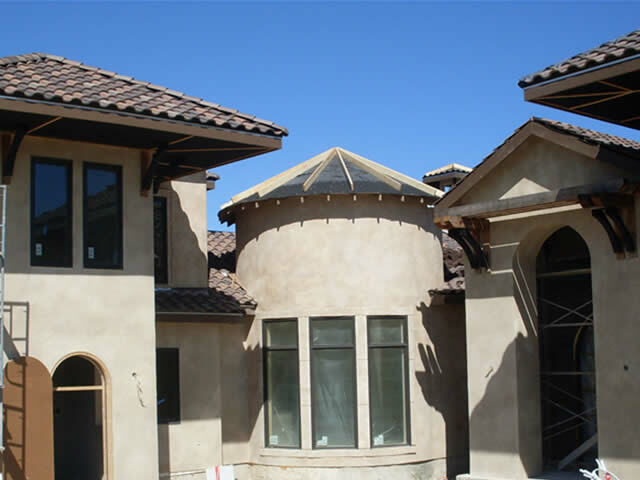 Tile roofs come in a variety of styles and colors to complement all sorts of different architectural looks. A good underlayment makes or breaks your tile roof installation. We used to dissuade people from getting tile roofs, but now they’re one of our favorite options. Innovations in underlayments have created tile roofing systems that work beautifully for weatherproofing and energy efficiency. With the right ventilation, many of the tile roof options can even earn the Energy Star Partner stamp of approval. Many of the tile roofing products RoofCrafters carry also offer support bars that separate the roof tile from the deck, to diminish the transference of heat and increase thermal insulation. Also available is an interlocking roof system to prevent lifting. Tile roofs have a long life cycle (50-100 years or more). Homeowners only get those years of great performance with the right underlayment system in place. This type of roof is an investment, and many builders and contractors take shortcuts with the weatherproofing underlayment to bring the price down. We’ve been called in to fix leaks or even tear off the whole roof on many of these budget jobs. The innovative new underlayment systems do more for less money: seal around fasteners, weatherproof, and provide good support for the tiles. We’re now able to confidently warranty tile roofing systems! Contact us today to get your free tile estimate.